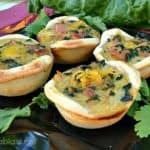 Bacon and Spinach mini Quiches – Serve these scrumptious little treats with a glass of wine, as an appetizer or as part of your party treats. Bacon, Spinach and Cheddar make these Mini Quiches a winner every time ! I have another delicious, and very popular with my family, savory snack recipe for you today…. 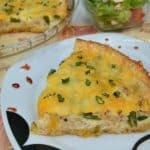 Delicious, creamy Salmon Green Bean and Spring Onion Quiche with a crispy – Ideal week night dinner or an impressive appetizer I have a delicious Salmon Green Bean and Spring Onion Quiche recipe for you today. 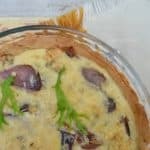 This Quiche is an all-season dish, as you can serve it hot, just warm or cold.